This post plays a bit off my last one, so you might want to read it first. Then again, you shouldn't need to. Consider the paths of these three writers, then answer the question below. Novelist Nick: Nick works very hard at his writing. After years of submitting his work to agents and publishers, Nick finally lands a publishing deal with a commercial publisher for one of his novels. The advance is $2,500. As Nick's publication date approaches, he gets the impression that his publishing company isn't going to market his book with much diligence; the early reviews are less-than-thrilling, his cover looks slapdash, and the company just doesn't seem intent on making his novel successful. Nick has worked his whole life to succeed as a novelist, so he decides to spend some of his own money on an independent publicist, and still more on an updated website. When Nick's novel comes out, he winds up doing much of the promotional work himself. At the end of Nick's novel's published life, it sold 1,000 copies and didn't recoup Nick's advance. All in, Nick spent $3,500 of his own money, for a net loss of $1000. Lit Mag Lucy: Lucy works very hard at her writing. She starts submitting her short stories to literary journals and contests shortly after grad school, with the hope of landing one at a respectable literary magazine. This process requires that she spend money on contest and submission fees, and she also pays to fly to a prestigious writers' conference that she's lucky enough to get invited to, where she hob-nobs with writers and editors. Finally, after years of submitting, she succeeds in landing a story at a reputable literary journal. The journal has a circulation of 3,000, and Lucy's story is towards the back of the issue. The journal pays Lucy $50. Over the years, Lucy spent $1050 trying to get a short story published, for a net loss of $1,000. Subsidy Sam: Sam works very hard at his writing. 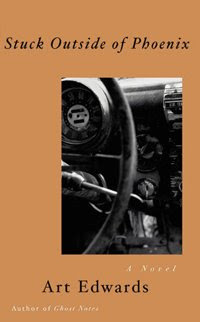 His best work consists of two novellas, both of which utilize NASCAR racing as a prominent backdrop. Sam decides, after being told by a few in the publishing industry that his work is strong but for various reasons unsellable, to pay to have his work published, consolidating his two novellas into one book. Sam is intimidated by the idea of designing and formatting his own book, so he enlists a subsidy print-on-demand publishing company to do this grunt work for him. They charge $300 to design, format and publish his book. Sam spends much of the next year promoting his book of novellas, investing in independent marketing and taking a trip across his region for a series of readings. Sam receives some good reviews, and through legwork, word-of-mouth and the Internet managed to sell 250 copies of his novel. Still, he didn't make back all of his initial investment, losing a total $1,000 on the venture. Here's my question: In the instances above, which of the writers exhibited vanity? Answer using the poll below, and feel free to comment in the comments area. Keep in mind: There is no right or wrong answer, just your opinion. Buy Ghost Notes, the award-winning self-published novel, for only $5! Victoria Strauss of Writer Beware has penned a spirited analysis of such terms as "traditional publishing," "indie publishing," and the like here, and I recommend everyone read it. It has much useful information about what to call what in this very confusing time in publishing, and we could all use a little boning up. There are, however, two things I don't agree with in her blog. Secondly, for all of her intent to clarify the segments of the publishing industry, Strauss also seems intent on labeling one segment, those of subsidy publishers, with the pejorative "vanity publishers." That's fine. "Vanity publisher" as a phrase has a certain history, and the companies she's labeling are, by and large, charging too much for not enough service. (I'm amazed, in this day and age, that someone would pay more than a hundred or so dollars to get a book published print-on-demand.) I encourage every would-be writer-publisher to avoid subsidy publishers. For a little more money, you can be a self-publisher. So, demonize subsidy publishers if you want, but not the writers who have used their services. As we know from the alarming rate of growth in this segment of the publishing world, many writers have gone the subsidy route. In 2008, the number of books published print-on-demand--a group made up largely of subsidy-published books--surpassed the number of book published otherwise. This is a first, and it isn't likely to change any time soon. Many subsidy-published writers will take this "vanity" pronouncement as a shot at them--they're working with "vanity publishers," which makes them "vanity writers"--and that isn't the purpose of referring to these publishers as vanity publishers. These writers did nothing but make an economic decision--"this service is worth this much money to me"--and some have been talented--or shrewd--enough to profit from it, or have used the subsidy route as a stepping stone to future commercial publishing success. Moreover, never would we expect a group, any group, to refer to themselves in the pejorative. Customer: "Nice book. How was it published?" Writer-publisher: "Oh, it was vanity published." I realize this throws another--perhaps confusing--phrase into the soup of public discourse, but if we're making distinctions, we should make them in the clearest ways possible, and in ways that don't shame the wrong people. Subsidy publishing is here to stay, has led to success, and the writers who choose that path aren't just succumbing to a scam, or to their own vanity. Also, to indirectly slur these writers isn't a way to win friends in the fastest growing segment of the publishing industry. One final point. What always gets lost in these conversations is the end user: the book buyer. Strauss's blog doesn't pretend to address this, so this isn't a criticism of the ideas therein. But amongst all of the turmoil about "self-publishing" versus "traditional publishing" versus "vanity publishing," the most important person in the equation, the book buyer, is simply buying a book. They rarely care how a book is published. They just want a book that appeals to them. That's something every kind of publisher hopes to deliver, and in this important sense, all publishing, even vanity publishing, is equal. A Major Award for Ghost Notes! As you know if you've followed my blog lately, Ghost Notes has had an unusually fruitful stretch of good reviews to start 2010. First, it received a slam-dunk review at the Boogle. Then, Ghost Notes the Audio Book received a nice mention at Curled up with a good book. And now, the coup de grace. 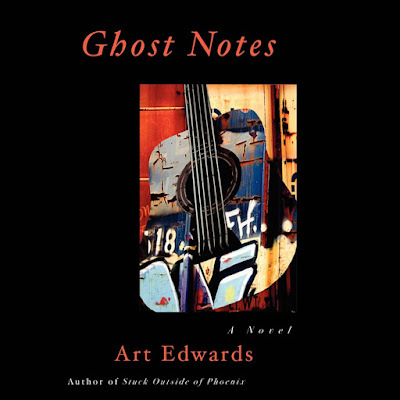 Ghost Notes has won the Contemporary Fiction category of the 2009 PODBRAM Awards. For those of you who don't know, PODBRAM stands for Print-on Demand Book Reviews and More. They specialize in reviewing self-published books, and whatever else strikes their fancy. They've been at it for almost four years, longer than most of the other self-publishing review sites, and they have a rigorous process for deciding which books to review. Ghost Notes was reviewed favorably there last summer, and now this! That's three weeks into the new year, and three positive accolades for Ghost Notes. I don't know what I did, but I hope I do it again soon. And as I mentioned in my last two blogs, Ghost Notes will take on new forms in 2010! First, an ebook, which will come out sometime in the first quarter of this month. Then, sometime mid-year, the audio book will be released serially at podiobooks. So, very soon you'll be able to buy the book, or the audio book, or the ebook, or listen to the audio book serially. And remember, folks. You can buy Ghost Notes at my website right now for a mere $5! You will not find a better deal for an award-winning (tee hee) novel anywhere. Buy Ghost Notes, the award-winning novel, for only $5! You can still buy Ghost Notes, Songs from Memory or Stuck Outside of Phoenix at my website for only $5. Two weeks into the new year, two reviews of Ghost Notes! "Art Edwards builds his novel with entertaining chapters dedicated to each character's perspective on the situations unfolding. To build better depth to the characters, Edwards focuses short—but crucial—chapters to experiences in from the past, to understand them better and the characters whom they have greatly influenced. The author is also a musician, and his knowledge and passion for music infuses the story with realism." You can go straight to the review here. I really like the audio book format--and not just for my work. It's a great way to take in a book that you might not have the time to read, but nonetheless feel compelled to know about. Audio books work well on long commutes, or during exercise. I always have one in the truck, just in case. Right now, it's Five Skies by Ron Carlson. I've read a lot of discussion lately about whether listening to an audio book constitutes "reading" that book. I don't think it does--it's closer to watching a play, one where the actors aren't visible--but that hardly means it's not valuable or enriching. The story still unfolds, and you get the flow of the language, just like you would if you read the book. I think of the audio book as its own genre, in the same way a play production is a different experience from reading a play. Related, of course, but hardly the same thing. I envision doing an audio book for each of my novels, but they take a great deal of time and energy to finish. Stuck? Not this year, but who knows what the future brings. Speaking of the future, I have one other big event planned for 2010, and it has to do with the audio book. I will release Ghost Notes the Audio Book as a podiobook. This is a company that releases audio books in free segments. You will be able to sample any and all segments of Ghost Notes, and over a period of weeks you will get to hear the whole thing. Don't expect this soon--it'll probably happen sometime around mid-year--but it's happening. I'll keep you posted. That's right. You've found yourself at the beginning of one humdinger of a year. "Each word [of Ghost Notes] fits almost perfectly into place. And while we celebrate rock, we also look at ourselves. Where we’ve been. Why we’ve been. And what’s next? There is real feeling here, as if this book has some cosmic purpose." See, I wasn't kidding. Check out the rest of the review here. Because this review put me in such a great mood, I've decided to extend the Five Bucks Sale! That's right. You can still buy Ghost Notes, Songs from Memory or Stuck Outside of Phoenix at my website for only $5! Get them while it lasts. I might get ornery and change it back. So, Kel and I are in our new house, and things have relaxed enough to get back to work. I will (you can feel a New Year's resolution coming, can't you?) finish my third novel, Good Night to the Rock 'n' Roll Era, by the end of the year. It will have been over four years since I started it, and it's time to get it out into the world. This will require a lot of my 2010 attention, but that's not all I have planned for the year. I also want to release Ghost Notes and Stuck Outside of Phoenix as ebooks. Besides Amazon's Kindle, a device where both novels are already available, this release will allow you to read about Hote's adventures on your iPhone, iPod Touch, Sony Reader or IRex Iliad and (I think) your home computer. Look for these ebooks in the first quarter of 2010. I'll announce their arrivals here and elsewhere. What else? You'll have to wait until next week to find out. Until then, could someone please tell to me why I can't stop watching this video?